My son loves his quiet time at home. Because of this, it takes a bit of sweet-talking to get him to leave his computer and venture outside. Not only does he like to stay home, but he is very reluctant to take a risk. If I’m being honest, I am much the same way. I understand this about myself and am trying to stretch myself to model this for my son. In the last two days, my son has stepped outside of his comfort zone box. First, we were invited for a play date where outside shoes were required and there wouldn’t be any type of screen involved. Despite getting lost and arriving late, we had a wonderful time. This was a family that we had visited before and I know the mom well. She has a friendly, approachable demeanor and kind children. This warmth is evident and I’m sure that is why my TBP is so comfortable in their home. Shortly after we arrived, we took to the trails on their property and beyond. My son was right there with the two siblings…exploring the overgrown trails, swatting the bugs away and stepping on sticker bushes. 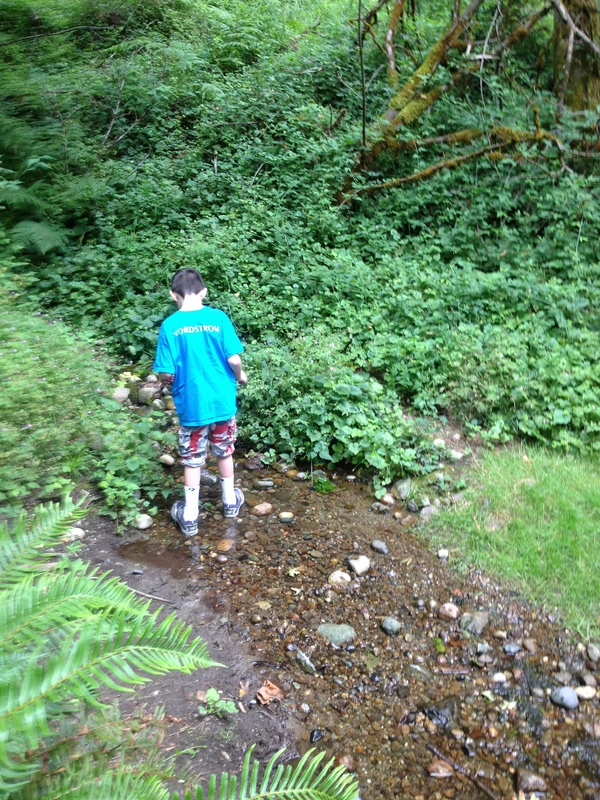 After watching the accompanying brother and sister duo, my son jumped from a small bridge to explore a stream and ate huckleberries with only a bit of encouragement. 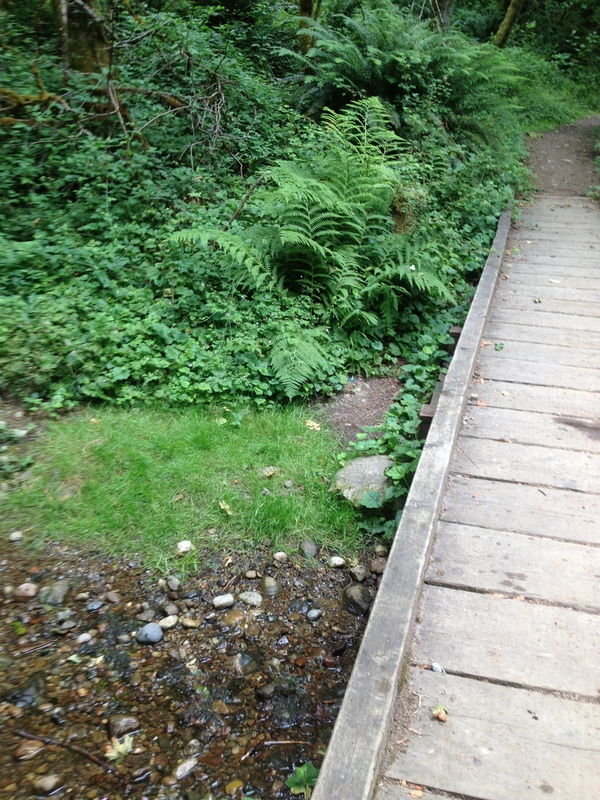 Although the bridge wasn’t more than two feet above the tiny trickle of water, it was a mental and physical stretch for my very cautious boy. Honestly, it was a stretch for this overprotective mother to watch and not warn or remind him to be careful! After returning from a long walk, which felt more like a hike to me, he played with his friends and laughed as their playful puppy stole the ball away from their game. We left before we over-stayed our welcome and all of the kids were still wanting more. I have found that this is the perfect exit strategy and a way to increase our odds for another date. Before our conversation switched to Mine Craft, he shared what he considered the highlights and what he would want to do next time. When he was younger, there were many times where we would leave a play date and I was sure that there would not be another. In the earlier years, the car rides home were filled with apologies and tears about behavior and long lectures about how to treat friends. It has been SO long…that sometimes I forget about those earlier rides home. Today, we went to another home. A friend of mine with a daughter a few years younger than my son. He was hesitant to pal around with a girl so much younger, but had moments where he seemed to forget his uncertainty. Again, he tried new experiences…ones that he turned to me for permission and although unsure, he did. He fed chickens and enjoyed the uncommon experience of a very large backyard. He went into a hot tub in his underwear instead of having a “real” bathing suit and splashed and had fun until he was done. He stood in wet drippy boxers for a few minutes, before he realized that this was not typically done and that it was time to go. It has been a busy week for him and next week will be busy too. In between the active days, we plan lots of time for recovery. When I think about these last couple of days, I hope that these experiences teach him that it is okay to try new things. How do you stretch your child to step outside of their box? Usually we can try new things if I remind him that I will not be mad if he wants to leave. I am VERY guilty of getting super MAD when he acts up because he is uncomfortable and we really should have left. This summer was the first full week of camp he also attended the 2 nights of 5th grade camp (which was a success with lots of help from the school and another parent). He said he was ready last year, but because of huge food limitations “I” was not ready. It was also really far away and I really didn’t want to drive back in 2 days. This year I have stopped worrying about the food and just found a camp closer. 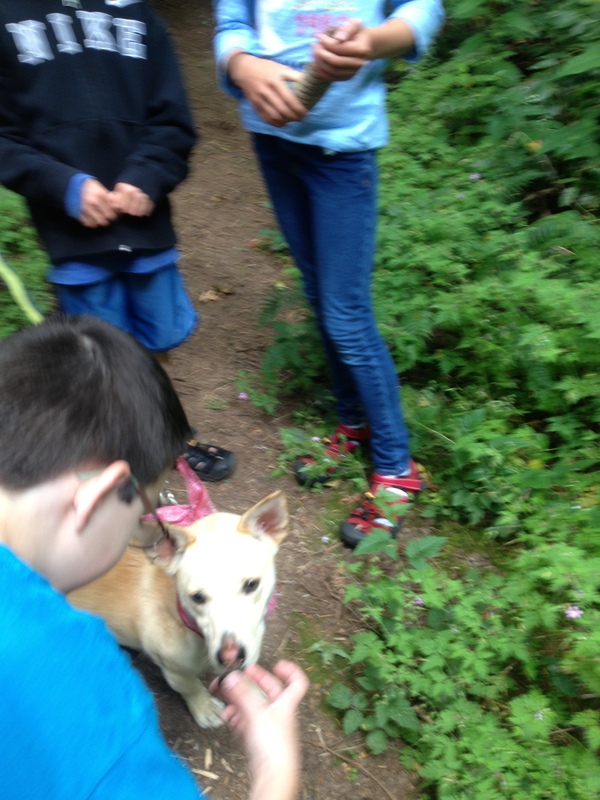 We arrived at the camp and he ran off with a group of kids upon stepping out of the car. After dropping off meds and reminding staff about food we came to find him to say bye and he was fine with it. On the way there I told him they will not make special meals for him and he would have to just find something or eat at the camp store. I told him if I had to come back because he didn’t like it we would not be mad, but happy that he tried. And I really meant it this time!!! All week my husband and I carried the phone religiously checking messages often. Nothing!! On the final day I came to get him and he had the best time of his life. I will admit he lost a few pounds, but e cannot wait to go again and his friend wants to come too!! It was amazing!! Hopefully your TBP will remember how good it feels AFTER to try new things and keep taking chances. Last summer, we have up on camps because many failed attempts. When it was time to start thinking about camps, we thought we found a great one. It was 5 days in the city doing computer programming. Sounds like torture to me, but I thought he would love it. He was interested until he realized it was literally all day, for 5 days and that the age range was up to 12 years old. He was very apprehensive so we didn’t do it, but I expect he will reconsider for next summer. Thank you so much for visiting and I hope you come back soon! This is awesome! Roozle has been very cautious, but seems to be growing out of it a bit. I’m sure it will come back this fall when she starts a new school, but for now, she’s doing really well with it. I just have to be really careful to not say “be careful” too much. Instead I might say, “Hey, if you go super high on that you probably won’t fall because most of the time no one falls, but even if you DID fall, it’s totally fine and I am here to help you.” That seems to work a bit to calm the fears. Honestly, this last year was the first time that I saw my boy take some risks…both socially and physically. He is starting to come into his own and appear more confident! I really have to watch myself because I am a huge worrier and I hear him repeat my warnings.